The Marvel Avengers S.T.A.T.I.O.N. (Scientific Training and Tactical Intelligence Operative Network) is where you visit when you have a mom who is an Academic Advisor! Not to mention the huge push for STEM (Science, Technology, Engineering, and Mathematics) from campaigns such as #weneedmore through Verizon Innovative Learning which aired repeatedly during the 2017 Nick Kid’s Choice Awards earlier this March. And, with my boys being all about superheroes and me knowing that experiences and education related to STEM pathways are vital to the success of the next generation; I thought it would only be fitting if we experienced the Marvel Avengers S.T.A.T.I.O.N. But, before we headed to Las Vegas, I wanted to make sure they were Avenger-fied! So, I purchased two Incredible Hulk shirts from Wal-Mart that they could wear to the S.T.A.T.I.O.N. They received a host of “thumbs up” on the shirts because they complimented the exhibition so well. The Marvel Avengers S.T.A.T.I.O.N. 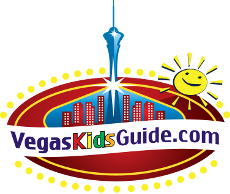 is definitely an educational experience that gives visitors a hands-on STEM experience with the excitement of Marvel Avengers characters and is located on the Las Vegas Boulevard Strip at Treasure Island Hotel & Casino, 3300 Las Vegas Blvd., Las Vegas, Nevada. This is the only Marvel Avengers S.T.A.T.I.O.N. in the United States of America with another exhibition located in Singapore. Children (12 & Up) and Adults are $34. There is a $5 optional charge if you would like to rent the Mobile Training Device with headphones. Otherwise, you can download the app on your phone to enlist and start your mission. Your mission is crucial and comes with directives coming from Maria Hill once you enlist. While there are several exhibits to explore, my boys greatly enjoyed the Bruce Banner Laboratory, the Spectrometry Testing Zone, the Vision Regeneration Room, and trying their hardest to lift Thor’s hammer. Who wouldn’t think of a STEM career after being a part of this exhibition? So, what happens when I become an official agent? I’m glad you asked! While I won’t spill all the beans, I will tell you, that once you become an official agent, you will have access to an array of photos from your device that you used on your mission. You will also have the opportunity to take other amazing, costumed, and propped photos as your mission ends (Not Pictured Here)! But, wait! Don’t think that because there is so much to learn and experience that you can’t have fun. You are definitely having fun along the way. But, guess what else? The Marvel Avengers S.T.A.T.I.O.N. is now Marvel’s largest retail outlet in the world! Once you have completed your mission, you can shop over 7,500 square-footof superhero merchandise! That’s right! Superhero fans have full access to an enormous variety of apparel, toys, collectibles, housewares, etc. My youngest son ran across the actual Captain America shield used in the movie and can’t stop talking about it! This experience is sure to accelerate your child’s thinking in terms of educational and career choices. Who knows, you may put your child on his or her pathway to becoming the next brilliant scientist or engineer! This post is in partnership with the Marvel Avengers S.T.A.T.I.O.N.